To Know Him is actually three stories collected into one book. Authors Shannon Ethridge and Kathryn Mackel do a stunning job of pulling the three stories into a coherent whole. It is also a tour of the country - from Dallas, to Los Angeles, to Boston and Colorado Springs – all in a private luxury jet and staying in five star hotels. It is a detailed look into a way of life most of us can only imagine. I truly enjoyed this “lifestyles of the rich and famous” tour. This is a story of miracles. Real miracles of Biblical proportion. The authors do it in a way that is believable and not contrived. There are relationship miracles and healing miracles and redemption that could only be a miracle. It is book that will make you feel like you have just observed something holy and precious. The characters are all memorable and I became genuinely fond of most of them. I found myself relating to them in personal ways. I loved Destiny. She was an amazing young woman and she made me laugh. I thought that Matt must be one of the finest men to walk upon this earth. I enjoyed Julia’s flawless style and loved her career as a criminal sidewalk artist. Jack and Hope/Chloe were obnoxious but they are part of the redemption story. And then of course, there is Dillon. Dillon was an angel in the form of a young, teenage boy. Ethridge and Mackel have penned a book that I had to keep reading, even when I should have been accomplishing other things. It absorbed me and I absolutely had to find out how this complex set of problems was going to play out. And – of course – I do recommend this book; but if possible, set aside enough time to read the book in its entirety. I received this book from the publisher in exchange for a review. All opinions expressed are my own. Julia Whittaker's rocky past yielded two daughters, both given up for adoption as infants. Now she must find them to try to save her son. Julia and Matt Whittaker's son has beaten the odds for thirteen years only to have the odds---and his liver---crash precipitously. The only hope for his survival is a "living liver" transplant, but the transplant list is long and Dillon's time is short. His two older half-sisters, born eighteen months apart to two different fathers, offer his only hope for survival. But can Julia ask a young woman---someone she surrendered to strangers long ago and has never spoken with---to make such a sacrifice to save a brother she's never known? Can she muster the courage to journey back into a shame-filled season of her life, face her choices and their consequences, and find any hope of healing? And what if she discovers in her own daughters' lives that a history of foolish choices threatens to repeat itself? Julia knows she's probably embarking on a fool's errand---searching for the daughters she abandoned only now that she needs something from them. But love compels Julia to take this journey. Can grace and forgiveness compel her daughters to join her? Kathryn Mackel is a best-selling author and acclaimed screenwriter for Disney and Fox. She was on the screenwriting team for Left Behind: The Movie, and Frank Peretti's Hangman's Curse. She is the acclaimed author of "The Surrogate", "The Departed", and "The Hidden" and resides in Boston, Massachusetts, with her husband. 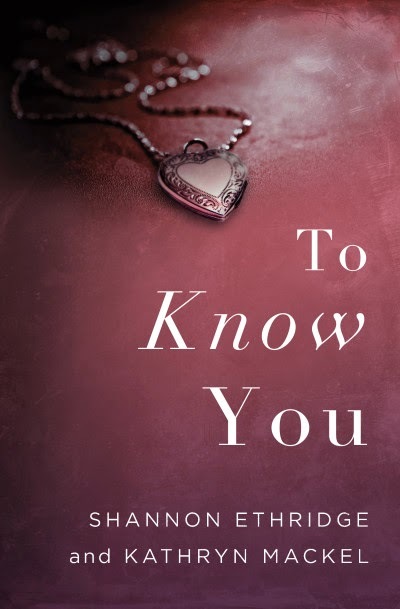 Shannon Ethridge is celebrating the release of To Know You (co-written by Kathryn Mackel), by giving away a $100 gift certificate to Lisa Leonard Designs and a personal coaching session, as well as throwing a Facebook Author Chat Party! Enter today by clicking one of the icons below. But hurry, the giveaway ends on November 19th. 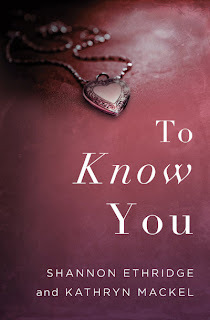 Winner will be announced at the "To Know You" Facebook Author Chat Party on the 19th. Connect with Shannon and friends for an encouraging evening of fun chat, book club discussion, giveaways, and a chance to win a PERSONAL COACHING SESSION WITH SHANNON! Don't miss a moment of the fun; RSVP today by clicking JOIN at the event page. Spread the word — tell your friends about the giveaway and party via FACEBOOK or TWITTER or Pinterest and increase your chances of winning. Hope to see you on 11/19!